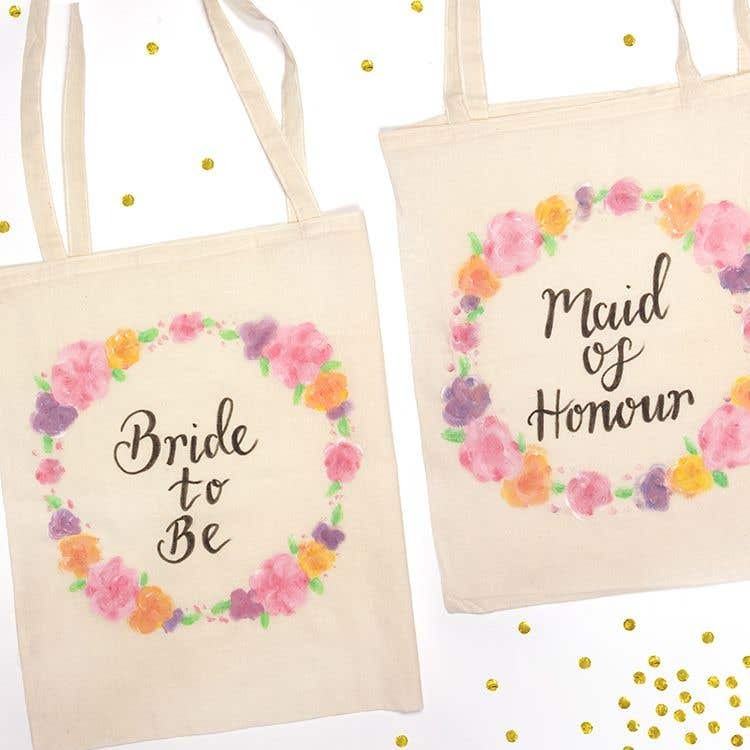 These hand painted bride and maid of honour tote bags are perfect for carrying your wedding planning supplies! Take a tote bag and put two sheets of A4 card or paper into the inside of the bag. This will make sure the paint doesn't run through to the other side. 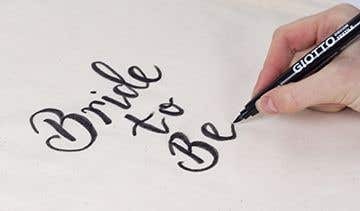 Use a pencil to lightly draw out the words “Bride to Be” onto the centre of the bag. 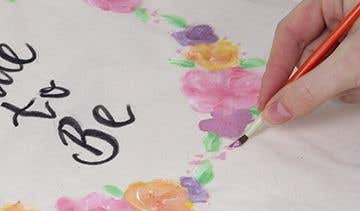 Use a black fabric pen to draw over the pencilled words. Use a pencil to lightly draw a large circle around the words on the bag. 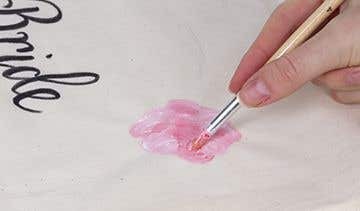 Mix some red and white fabric paint together to create a light pink. Then use it to paint a flower shape on a section of the pencilled circle. Use darker pink and white to create depth to the flower. Repeat step 5 at other points around the circle. Then repeat again using different colours to create more flowers until the circle is almost full. Mix green and white fabric paint together to make a light shade of green. Then use this paint to paint leaves around the floral wreath. Leave to dry fully before removing the card sheets from inside the bag. Iron the bags before painting to make sure they are crease-free.